Here you can listen to a selection of interviews with Academy founder Francesca McCartney PhD, as well as Faculty and Advisory Board members. Just click to listen to the audio .mp3 files. Francesca was interviewed as part of Thriving in Your Third Act, an online event featuring bold leaders who offer powerful practices and profound wisdom to ignite your life after 50. You already have a Personal Guidance System—a source of wisdom and healing—existing within you. 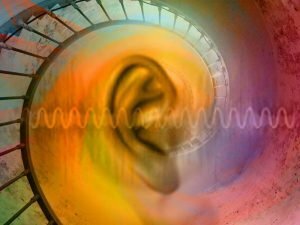 Humans are wired to receive inner- and outer-world information signals via Intuition, but too often we ignore or don’t trust our more subtle perceptions. There are many more ways to experience life, relationships and the world than what the traditional “five senses” provide. Did you know that we have more than 21 senses available to us? And that you can develop and use your intuitive abilities to cultivate prosperity, improve health, and bring spiritual abundance into your life? Audio recording copyright of The Shift Network. All rights reserved. Francesca was interviewed by David Benjamin on his podcast at “Healthy Wild and Free.” They discussed the 16 senses beyond the 5 senses that we use on a daily basis, and how quieting our 5 senses creates space in our consciousness to unlock other senses to improve intuitive capabilities. Francesca discusses chapters 2-5 of her book, Body of Health: The New Science of Intuition Medicine for Energy & Balance with Soul Salon International founder, Rena Reese. This book was named in the Soul Salon International 2010 List of the Top Books for Awakening. Francesca was interviewed by Alan Smith, host of the “UnBreak Your Health” podcasts. Academy Advisory board member Daniel Benor, MD was interviewed on a national radio show which focuses on alternative healing practices. Note: go to the 10th minute to begin the interview. Part II: Academy Advisory board member Daniel Benor, MD was interviewed on a national radio show which focuses on alternative healing practices. Academy Advisory board member Arya Bhushan Bhardwaj, ND was interviewed by Dr. Len Saputo on his radio show. Recording in two parts.